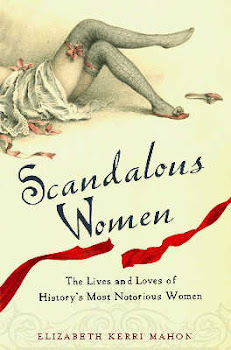 Scandalous Women is pleased to have this quick Q&A with historical fiction author Michelle Moran, author of The Heretic's Daughter and Nefertiti, talking about her new book Cleopatra's Daughter which will be on shelves on September 15. Michelle Moran was born in the San Fernando Valley, CA. She took an interest in writing from an early age, purchasing Writer's Market and submitting her stories and novellas to publishers from the time she was twelve. When she was accepted into Pomona College she took as many classes as possible in British Literature, particularly Milton, Chaucer, and the Bard. Not surprisingly, she majored in English while she was there. Following a summer in Israel where she worked as a volunteer archaeologist, she earned an MA from the Claremont Graduate University. 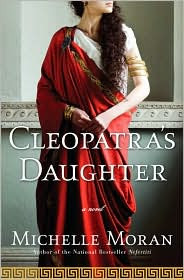 Q: What prompted you to write a novel about Cleopatra’s daughter? 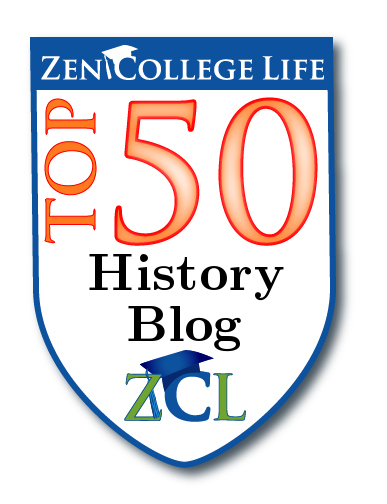 A: I do a great deal of traveling both for research and for fun, and most of my destinations are archaeological sites. On a trip to Alexandria in Egypt, I was afforded the amazing opportunity of participating in a dive to see the submerged remains of Cleopatra’s ancient city. More than ten thousand artifacts remain completely preserved underwater: sphinxes, amphorae, even the stones of the ancient palace. Although I'm not a fan of diving, it was an incredible experience, and it changed the way I looked at Cleopatra. I immediately wanted to know more about her life, and it was mere coincidence that my next trip took me to Italy, where her ten year-old children were brought to live after her suicide. While in Rome, I was able to retrace her daughter's steps, and upon seeing where her daughter had lived on the Palatine, I knew I had my next novel. Q: What was it like to walk where Selene walked? In particular, what was it like to visit Octavian’s villa? A: Unbelievable. For two thousand years, Octavian’s villa has sprawled across the top of the Palatine Hill, slowly deteriorating. At one time, its vibrantly painted dining room had hosted magnificent feasts, one of which would have been the celebration of the emperor’s triumph over Marc Antony and Cleopatra in Egypt. As the heir to Caesar, Octavian was determined to rule the western world without interference. He changed his name to Augustus, and with the help of his general Agrippa and his architect Vitruvius, he turned a city of clay into a city of marble.I had known all of this on that day in March when the villa was opened for the first time in more than a century. What I hadn’t known, however, was just how unbelievable that trip back into the world of ancient Rome would be. After three million dollars in restoration, Italian archaeologists have been able to recreate not just the intimate library and studies Augustus used, but the mosaic floors he once walked on and the vividly painted ceilings he once walked beneath with Ovid, Seneca, Cicero, Horace, and even Julius Caesar himself. As we were quickly escorted through the frescoed rooms, we stopped in the triclinium – the dining room which had once seen so many famous faces smiling, laughing, even crying for mercy. With a little imagination, it was easy to see the tables and couches that had once adorned the chamber, and there was the undeniable feeling of standing in the presence of the ancients. It was the kind of feeling you only get in Grecian temples or Egyptian tombs. Q: In all three of your novels, your narrators have been teenage girls. Is there are reason for this? A: Actually, yes. I like to begin my novels during the time of greatest transition in a person’s life. And in the ancient world, the greatest transition in a woman’s life was often the time when she was married. Because women married at much younger ages two thousand years ago (twelve years old was not uncommon), my narrators have all been very young girls. 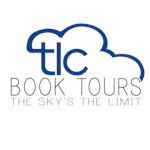 In fact, Random House will be making a concerted effort to market Cleopatra's Daughter to young adults as well as adults. However, as my novels progress through time (my next book, for example, will be about Madame Tussaud), my narrators will be older. Q: Is the Red Eagle based on an historical person? A: Yes. The Red Eagle is actually based on several men who led slave rebellions (unsuccessfully, I might add) against Rome. Spartacus led the most famous revolt, but there were other men too, such as Salvius, who waged war with his army of slaves in ancient Sicily. Q: You write in your acknowledgements page that the character of the Red Eagle is an homage to the works of several authors. What made you decide to do this? A: Creative as well as personal reasons. First, I wanted to create a character that fans of swashbuckling adventures might love, and it wasn’t at all difficult to find historical personalities on which to base such a hero. Men like Spartacus and Salvius were heroes in the truest sense of the word. But I didn’t want there to be too much action, and certainly not so much that it would detract from the real story – that of Selene and her twin brother Alexander growing up in a foreign court. I could certainly have chosen not to include anything as obviously fictitious as the Red Eagle. But I wanted to illustrate just how threatening slave rebellions were at that time, and how ever-present the danger of becoming a slave would have been, even to captured royalty. And the creation of the Red Eagle wasn’t a huge stretch. Many rebels who came before – and after – the Red Eagle employed similar tactics: rousing the plebs, arming the slaves, and encouraging those in servitude to passive resistance.On a more personal note, however, I wanted to include the Red Eagle because I knew it would be a character my father would have loved. He devoured anything having to do with ancient Rome, and I deeply regret not having written this while he was still alive. Q: Was a third of Rome’s population really enslaved? A: Sadly, yes. And you didn’t have to be born a slave to become one. You could be kidnapped and sold into slavery, your city could be overrun and you could be turned into a slave, or you might be sold into servitude by your own parents. Slavery meant an absolute loss of every human right we now take for granted, and as a slave, your body was no longer your own. Many slaves were physically and sexually abused, regardless of age or gender. Q: Where did these slaves come from? A: Many were Gallics and Greeks. The Gallics were from Gaul, a region which now encompasses France, Belgium, parts of Switzerland, and Germany. Q: When did slavery end? A: It hasn't. In the Western World, it was slowly - very slowly - phased out with the coming of Christianity (which was one of the reasons Christianity flourished… it appealed to the disenfranchised and enslaved, making everyone equal if not on earth than in the next life). But slavery certainly hasn't ended for everyone. There are women and children who are ensalved today, even in America and Europe. Of course, this isn't legal. Many of these victims of modern-day human trafficking have been brought over from places like Albania or Algeria and have no resources to escape. That's why organizations such as STOP International exist. You can visit them here. Q: Is it still possible to visit the places Selene visited when she was in Rome? A: Yes. In 2008, I went on a photographic safari in search of the places Selene would have gone during the brief years she was in Rome. Many of the photos are included here! Q: What are you working on next? Will it also be marketed to both adults and YA? A: Actually, my next book will be firmly adult fiction. MADAME TUSSAUD: A Novel is about Madame Tussaud, who joined the gilded but troubled court of Marie Antoinette, and survived the French Revolution only by creating death masks of the beheaded aristocracy. I’m very excited about this novel, since Marie (the first name of Madame Tussaud) met absolutely everyone, from Jefferson to the Empress Josephine. Thanks Michelle! Visit CleopatrasDaughter.com more about Michelle and Selene and also check out Michelle's blog at michellemoran.blogspot.com. Leave a comment on the blog by September 8 and you will be entered in to win a copy of Cleopatra's Daughter. Hi, Michelle! Congratulations on the release of your latest book and all best wishes for another success. I so enjoyed meeting you at the HNS conference a few months back (and sitting next to you at the lunch!) The insights you offered in the various workshops was terrific. Looking forward to the Mme. Tussaud novel. Such a fascinating character. We authors could learn much from her about self-promotion, right?! Brilliant interview Elizabeth & Michelle! I particularly enjoyed the pictures. If only I knew then what I know now when I traveled to Rome as a teenager - it would have meant so much more. I'm reading Cleopatra's Daughter at the moment and loving every word! It's one of those books that have you so enthralled that when you finally take a breath it's like 50 pages later already! Cleopatra's Daughter sounds great, and the cover is amazing. I've been looking for something new to get into, and this sounds like just the ticket! Thank you, Margaret. It was such a pleasure meeting you, too! What a fascinating life you've had! And Amy, I so glad you're enjoying the book!!!! That's exciting news - that your next book will be set during the French Revolution. Looking forward to it. I read and thoroughly enjoyed Nefertiti, and know I will like Cleopatra's Daughter. Hi! 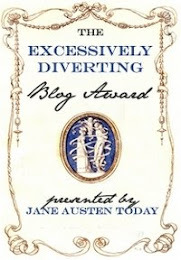 Just popping by to let you know that I've blogged about this on Win A Book. No need to enter me for the contest, though. Wonderful interview!! I look forward to reading Cleopatra's Daughter next, after I finish CW Gortner's The Last Queen. I loved Nefertiti, and I can't wait to read some more of Michelle's work! Thanks so much for bringing us this awesome interview! This sounds like such a great read! I can't believe I haven't yet read any of Michelle's work! I'd love to read this book! I would love to win a copy. Cleopatra's Daughter is at the top of my wish list. Great interview! I've been reading Cleopatra's Daughter this weekend and loving it. The bit about the next novel was particularly interesting-- quite a change from her previous work! I'll definitely be waiting excitedly to read that one, too. What a great interview with a small peek at what to expect next from Michelle. Please enter me in the giveaway. I would love read this book. Please count me in. This sounds like a great book. Count me in! This book looks amazing! Please count me in. Thanks for the giveaway. I would love to enter. Please enter me in this contest. Fascinating! I have read the interview and I am impressed by the knowledge, judgement and insight of Ms. Moran. Please count me in, I'd love to read her book. I just read about this on amazon! Yay! Fascinating interview, it makes me want to read Cleopatra's Daughter that much more!! This book sounds more and more like a truly amazing read. I want so much read this book! I hope I win this book! Please enter me in an pick me! Thanks for the great interview. I would love to win a copy!